– Hungarian Parliament Building – one of Europe’s oldest legislative buildings and a popular tourist destination. It was completed in 1904. Interesting fact: this is still the tallest building in Budapest. 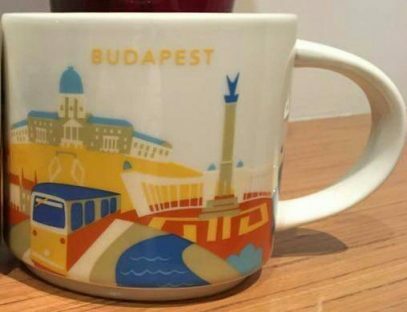 Please note, the mug is already available for sale in Starbucks coffee houses in Budapest. If you have no plans going to Hungary anytime soon, you can buy it online, see here.